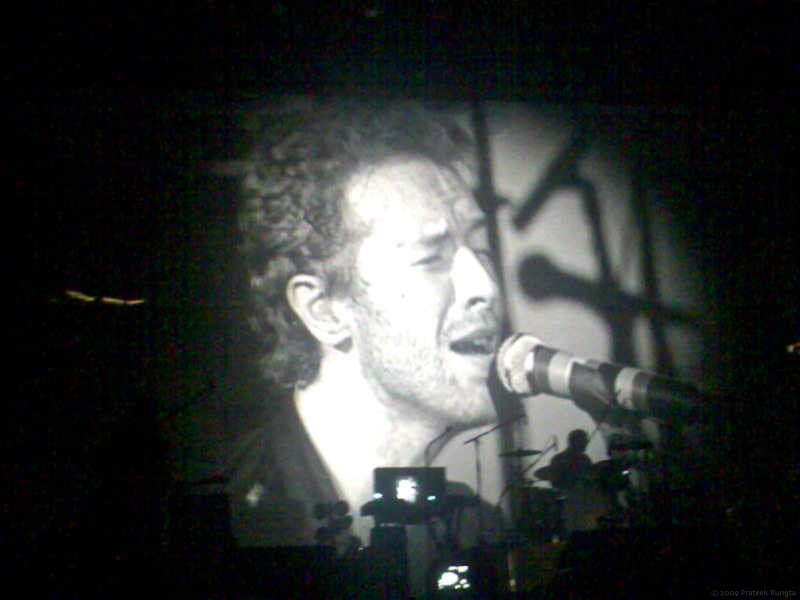 Chris Martin of Coldplay is portrayed on the screen while performing in Melbourne earlier tonight (3rd March). 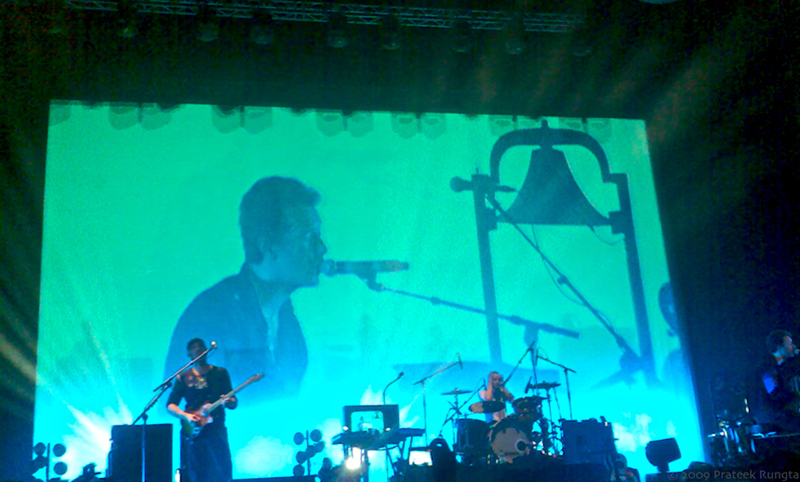 Forgive the noise and low quality of the images, that’s the best I could salvage out of my rusty Nokia 6280’s camera. This kind of noise, however, adds to the effect and atmosphere of this shot - I like it! Yup, the noise does add to the artistry here, but these are the only two shots I got where it works in favour. I’d be an idiot to miss it. Totally rocking! Moment well captured and improvised. Wish I could’ve been there as well. Nobody’s going to look at the grain when there is Chris Martin to look at! I like the 2’nd shot. Lucky you!